Week 3 of the preseason is a tease. It is exactly like regular season football– for a half. It is known as the dress rehearsal week with most starters playing the second half and some guys play a little bit of the third quarter. Playing the big name guys is something you can definitely do when looking at the DFS slates but don’t forget to keep tracking the position battles across the league. The odd part of breaking down preseason NFL from a fantasy perspective is that matchups really don’t matter. It is all about playing time. Let’s look at Saturday’s full slate. Not all teams will use Week 3 as a dress rehearsal but it looks like the 49ers will. 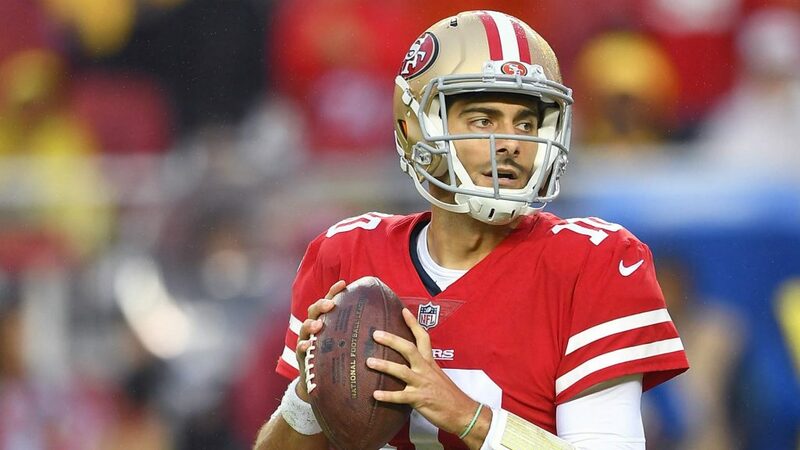 Head coach Kyle Shanahan and Garoppolo have recently talked about embracing this game and truly seem to value it, which we love for DFS purposes. Shanahan confirmed that the starters are expected to play the entire first half of this contest and the offense could get some additional run because he wasn’t all that impressed with the unit’s efficiency during their last preseason game. Garoppolo and Marquise Goodwin have developed quite the rapport and could connect on some big plays here against a Colts secondary that coughed up the most 20-yard passing plays in the NFL last season. Attacking thin depth charts is something you really want to do in preseason. The 49ers running back group is extremely banged up right now with Jerick McKinnon and Matt Breida dealing with injuries and now Joe Williams is out until at least Week 1 of the regular season with a rib injury. Last week, McNichols had 10 carries and four targets and that was with Williams playing and getting significant work before suffering the injury. San Francisco and the coaching staff recently talked about how much they value Week 3 of the preseason and with all of these guys banged up, McNichols is likely to play well into the third quarter in this game against a Colts run defense that is average. But if he plays into the third quarter against some backups, the matchup is enhanced. Due to the injuries around him, McNichols might be the top overall play of the slate. We know Ingram is suspended for the first four weeks of the regular season but he is eligible to play in the preseason. And considering that he won’t play in Week 4 of the preseason, this is a good opportunity for the Saints to give Ingram a lot of run with the first-team offense. This is a guy that will play with the first-team just once over the first six weeks of the season, as he’s suspended for the first four games and then the Saints have a Week 6 bye. The Chargers were a team that gave up a lot of overall production to running backs last season and Joey Bosa is banged up right now. We know Ingram is talented and with Drew Brees and company getting some run, the offense should be moving the ball quite well. So far this season, Jacksonville has played their starters quite a bit. Last week against the Vikings, they played almost the entire first half and are expected to play a series or two into the third quarter on Saturday against Atlanta. No wideout ran more snaps with the first team offense than Cole last week and he’s proven to be the downfield option in this Jacksonville passing attack. Because the Jaguars have a handful of receivers in the mix heading into the season, Cole seems a bit more risky compared to some other wideouts but the upside is certainly there. Andrew Luck has not looked the sharpest this preseason so I think the Colts will want to give him significant run in this game to get him going heading into the regular season. I’m not sure, but he seems to be an important piece to this team’s success. Meanwhile, wide receiver T.Y. Hilton recently suffered a minor shoulder sprain at practice and while it isn’t serious, it doesn’t seem like the Colts will need to roll him out a lot in this game, giving Rogers and Ryan Grant more opportunity to play alongside Luck. Rogers appears to be behind Grant for that number-two role among receivers but he could change that with a big game here, and against a weaker San Francisco secondary, that is entirely possible. The tight end position is pretty ugly on this slate. There are really only one or two options that you can feel very comfortable with and Smith is one of them. He is a high-upside player and could take advantage of some banged up members of the Tennessee passing game. Veteran tight end Delanie Walker has still been sidelined at practice with a toe injury so he could definitely sit this game out and even if he plays, I doubt we see him for more than a series or two. Meanwhile, Rishard Matthews is still on the PUP list, though he is apparently close to returning. Again, he’ll either play a series or two in this game or sit out entirely, though, it appears the latter is more logical.